M.B.B.S (Bachelor in Medicine & Bachelor in Surgery) - Kasturba Medical College, Mangalore, Karnataka, India. Manipal University, , India - August 2003 to February 2008 - This is a 4-1/2 year full- time course divided into about 6 semesters. During this period all basic medical Subjects are taught. At the end of each semester had to undergo University examination. Day to date evaluation (Internal assessment done regularly). D.M.R.D. Diploma in medical Radio- Diagnosis - Al Ameen Medical College, Bijapur Rajiv Gandhi University of Health Sciences, Bangalore, India - May 2010 to May 2012 - This is a 24 months residential full time postgraduate Diploma. During the period basic concept of radiation physics, imaging techniques and diagnostic aspects of radiology were taught. DNB in Radio- Diagnosis (Diplomate in National Board) - Mazumdar shaw cancer center Hospital, Narayana Health City, Bangalore (Previously known as Narayana Hrudayalaya), Diplomate in National Board, New Delhi - March 2013 to March 2015 - This is a 24 months residential full time postgraduate programme. During the period basic concept of radiation physics, imaging techniques and diagnostic aspects of radiology were taught. At the end of the training sessions written & clinical exam is given. It is recognised as equal to MD. The examination is all india level. CLINICAL TRAINING 1. Compulsory Resident Rotary Internship Hospital : Kasturba Medical College Hospital, Mangalore, India Duration : March 2008 to March 2009 (12 months) This is one year Resident Rotatory internship. During the period, I had worked in the department of Medicine, Surgery, Obstetrics and Gynecology and Allied Specialties. After completing the Training the MBBS degree was awarded CLINICAL EXPERIENCE 1. RESIDENT DURATION : FROM 1, APRIL 2009 TO 28,AUGUST 2009 PLACE OF WORK : APOLLO SPECIALITY HOSPITAL, CHENNAI During the above period I worked in the department of Medical Oncology department, I showed keep interest to equip myself to learn well and apply the principles and practice of oncology under the able supervision of Dr. T. Raja. 2. MEDICAL OFFICER DURATION : FROM 30, AUGUST 2009 TO 31,MARCH 2010 PLACE OF WORK : APOLLO HOSPITAL, CHENNAI During the above period I worked in the department of Occupational Medicine department, I applied the best of my clinical skills, performance and commitment. 3. SENIOR RESIDENT - RADIOLOGY DURATION : FROM 21, JULY 2012 TO 23, MARCH 2013 PLACE OF WORK : APOLLO SPECIALITY HOSPITAL, CHENNAI During the above period I worked in the department of Radiology and imaging sciences at Apollo Speciality Hospital , I showed keep interest to equip myself to learn well and apply the principles and practice of Radiology and imaging sciences under the able supervision of Dr. Bagyam Raghavan and Dr. Jayaraj Govindaraj. 4. 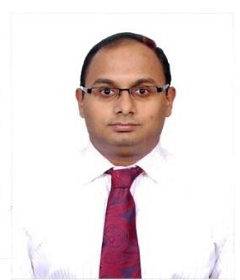 SENIOR RESIDENT – RADIOLOGY DURATION : FROM 26, MARCH 2013 TO 25, MARCH 2015 PLACE OF WORK : MAZUMDAR SHAW CANCER CENTER HOSPITAL, NARAYANA HEALTH CITY, (NARAYANA HRUDAYALAYA HOSPITAL) BANGALORE During the above period I worked in the department of Radiology and Imaging sciences. I showed keen interest to equip myself to learn well and apply the principles and practice of Radiology and imaging sciences under the able supervision of Dr. Prof. Venkataraman Bhat. I gained a through knowledge of X ray diagnosis, Ultrasound diagnosis, CT SCAN especially cardiac scanning, & MRI techniques / diagnosis. 5. CONSULTANT RADIOLOGIST – RADIOLOGY DURATION : FROM 1, APRIL 2015 TO 30, NOVEMBER 2015 PLACE OF WORK : AARTHI DIAGNOSTIC AND RESEARCH CENTRE, BANGALORE During the above period I worked as a consultant radiologist. I showed keen interest to equip myself and was working independently reporting all modalities such as radiographs, ultrasound, computed tomography and magnetic resonance imaging. 6. ATTENDING CONSULTANT – RADIOLOGY DURATION : FROM 14, DECEMBER 2015 TO 16, SEPTEMBER 2017 PLACE OF WORK : SAKRA WORLD HOSPITAL, BANGALORE During the above period I worked in the department of Radiology and Imaging sciences. I showed keep interest to equip myself to learn well and apply the principles and practice of Radiology and imaging sciences under the able supervision of Dr. Srikanth Narayanasamy, Dr. Anisha Tandon and Dr. Amitha Vikrama. I gained a through knowledge of X ray diagnosis, Ultrasound diagnosis, CT , MRI SCAN diagnosis and interventional procedures. 7. CONSULTANT RADIOLOGIST – RADIOLOGY DURATION : FROM 11, NOVEMBER 2017 TO 13, OCTOBER 2018 PLACE OF WORK : AARTHI DIAGNOSTIC AND RESEARCH CENTRE, BANGALORE During the above period I worked as a consultant radiologist. I showed keen interest to equip myself and was working independently reporting all modalities such as radiographs, ultrasound, computed tomography and magnetic resonance imaging. 1. Presented a Paper on “ULTRASOUND IMAGING IN SOFT TISSUE LESION” in the 10th,GCC (Gulf Co-Operation Council Countries) & 11th,Pan Arab Conference, held in Bahrain,December 2005. 2. Presented a Paper on “ACCURACY OF OUT OF HOURS EMERGENCY CT SCAN REPORTING BY RADIOLOGY RESIDENTS” in the 30th,Annual Conference of IRIA Karnataka State Chapter, held in Hubli, Karnataka, India, March 2014. 3. Presented a Poster on “UNILATERAL CAUSE FOR BILATERAL LOWER LIMB WEAKNESS” in the 30th,Annual Conference of IRIA Karnataka State Chapter, held in Hubli, Karnataka, India, March 2014. 4. Co-author in a topic titled “TRACHEAL QUADRIFURCATION ASSOCIATED WITH CONGENITAL HEART DISEASE” published in March issue of Pediatric Radiology. 1. Attended a course on “Intial Patient Evaluation and Opportunistic Infections Management, Stigma and Discrimination, Legal and Ethical issues, Antiretroviral Therapy and Palliative Care” Conducted by Kasturba Medical College,RRTC – 10, Mangalore on 14 and 15 October 2008. 2. Attended 12th GCC & 13 th Pan Arab Conference held in Muscat, Oman in December 2008. 3. Attended a Research Meeting “BRISK PS Study India investigator Meeting (CA 182-034)” in Mumbai on 23 May 2009. 4. Participated as a Delegate in the 8th Annual National Conference of Paediatric Radiology Held on 4 and 5 September 2010 at Pune. 5. Attended the International Bowel Imaging Course held on 23 and 24 October 2010 at Pune. 6. Attended the Hyderabad Annual Radiological Physics Course Conducted by IRIA – AP State Chapter from 15 to 17 July 2011. 7. Attended Ramachandra Advanced Radiological Education CME Course from 16 to 19 February 2012 at Sri Ramachandra University, Chennai. 8. Attended 30th,Annual Conference of IRIA Karnataka State Chapter, held in Hubli, Karnataka, India, 29 and 30 March 2014. 9. Attended 12th, National Conference of the Indian Society of Paediatric Radiology, Conference, held in Vellore, India, 12 and 13 September 2014. 10. Attended Ramachandra Advanced Radiological Education CME Course from 19 to 22 February 2015 at Sri Ramachandra University, Chennai. 11. Attended 33rd, Annual Workshop and Conference of IRIA Karnataka State Chapter (KARRADCON 2017), held in Bangalore, Karnataka, India, 10, 11 and 12 March 2017.